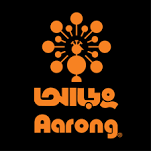 Aarong, the retail arm of BRAC, a non-profit development organization based in Bangladesh, was created in 1978 to provide employment, income generation and social development opportunities for underprivileged women through the revival and promotion of Bangladeshi handicrafts. Profits from Aarong were used to extend such opportunities to more low-income producers and to cross-subsidize BRAC programmes for the poor. In 30 years, from a single shop, Aarong had grown into one of Bangladesh’s biggest retail chains. Its products ranged from clothing, household items, gifts and fashion accessories to children’s toys. The competition, however, was intensifying, both from local retailers in individual categories as well as foreign players, such as from India. How could Aarong compete in a global market? How could it leverage the brand, improve quality to match machine-made consistency, and keep prices competitive, while maintaining its social mission? The case highlights the challenges of building a social enterprise that harnesses the labor and skills of the poor to create a sustainable livelihood for them while creating value for consumers and the enterprise. Specifically, how does one deal with the challenge of on the one hand the need for raising the wage rate to provide a sustainable livelihood in an ever more expensive world while at the same time modernity and changing tastes and mores reduces or at least flattens consumers’ willingness to pay. The case thus allows for a discussion of these tensions that are inevitable in social enterprises geared towards tapping the labor and skills of the poor to create a sustainable livelihood for them, at a profit to the enterprise. 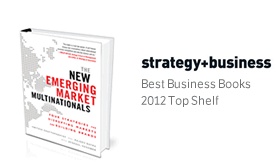 The case can be used in MBA, EMBA and executive education classes on social enterprises, shared value, and sustainable business models at the BOP.